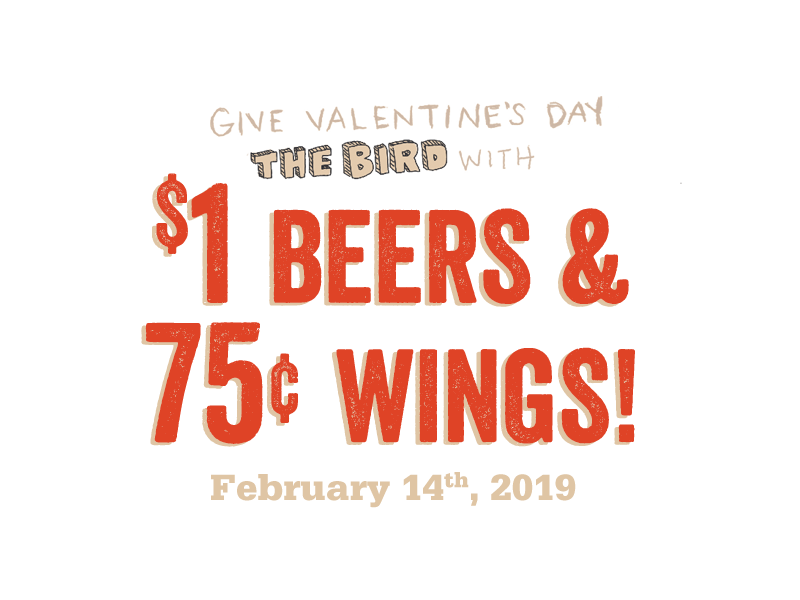 Join us on February 14th for 75¢ wings and $1 beers. While your couple friends are on a romantic date, you’ll be hanging out with your buddies eating wings and watching sports. If this isn’t the opposite of Valentine’s Day, we don’t know what is! So, whether you hate Valentine’s Day or are just feeling plucky, Pluckers is THE place to be on February 14th! This special is dine-in only. A minimum of 10 wings must be ordered. No celery or ranch will be served with the wings however, they can be purchased.